OMAHA, Neb. -- A surgeon who contracted Ebola while working in Sierra Leone arrived in Nebraska Saturday for treatment at a biocontainment unit where two other people with the disease have been successfully treated. Dr. Martin Salia, who was diagnosed with Ebola on Monday, landed at Eppley Airfield in Omaha on Saturday afternoon and was being transported to the Nebraska Medical Center. The hospital said the medical crew transporting Salia, 44, determined he was stable enough to fly, but that information from the team caring for him in Sierra Leone indicated he was critically ill and "possibly sicker than the first patients successfully treated in the United States." In another tweet Saturday, the hospital described Salia as being "too sick to walk on his own." Salia was working as a general surgeon at Kissy United Methodist Hospital in the Sierra Leone capital of Freetown. Kissy is not an Ebola treatment unit, but Salia worked in at least three other facilities, United Methodist News said, citing health ministry sources. Salia is a Sierra Leone citizen who lives in Maryland with permanent U.S. residency. 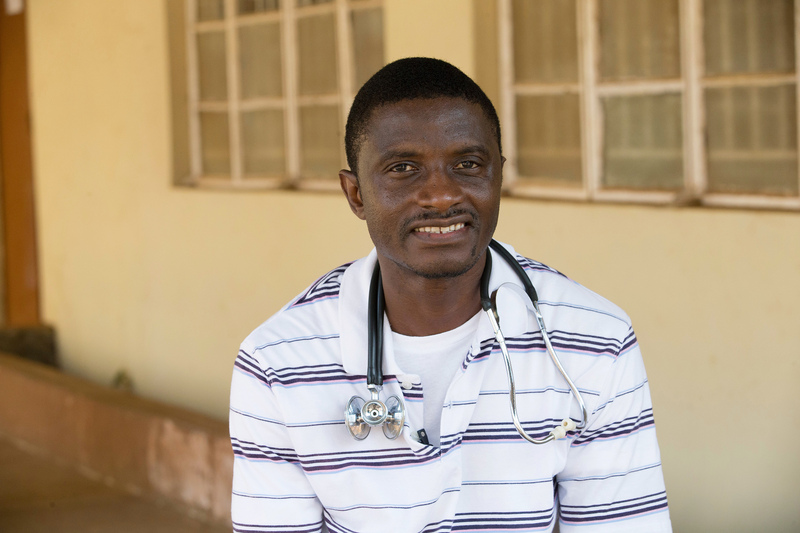 In a video recorded at the hospital in April, Salia explained why he felt the need to treat Ebola patients, despite the high risk of infection. The U.S. State Department said it was helping facilitate Salia's transfer; the U.S. Embassy in Freetown said he was paying for the expensive evacuation. The travel costs and care of other Ebola patients flown to the U.S. were covered by the groups they worked for in West Africa. Salia came down with Ebola symptoms on Nov. 6 but tested negative for the virus. He was tested again on Monday and tested positive. Colleagues describe Salia as "one of the best-trained surgeons in his country." He recieved his surgical training from a group called the Pan African Academy of Christian Surgeons, which seeks to train African doctors who then served on the continent for at least four years. "People like Martin are just absolutely dedicated, highly trained... and doing their best in absolutely horrifying conditions," said Bruce Steffes, executive director of PAACS.